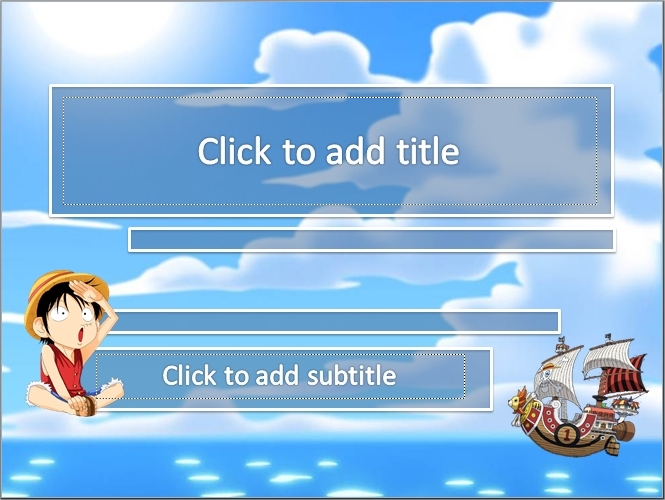 Still theme of anime, this time featuring a design template powerpoint One Piece. One of the anime that is not less interesting with Naruto, the comic also beamed almost comparable to Naruto. On the cover page design uses cloud background and looking the ocean. Equipped Luffy chibi version and sunny go the ships straw hat pirate groups. The design template is created and on powerpoint 2010. design file size is not so big only about 600kb. on both the second page design is not so different from the design of the cover page. If you like one piece download its collection of powerpoint templates so that your presentation more attractive because it uses an interesting thing.